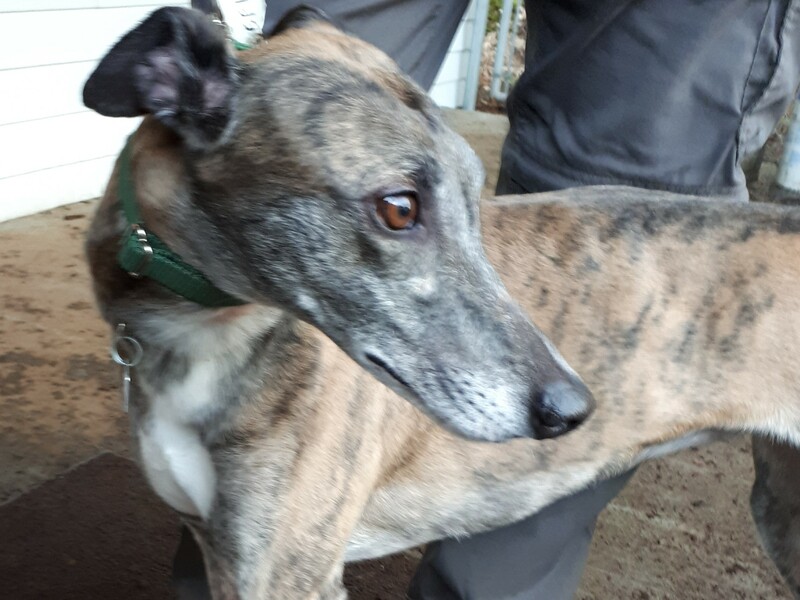 Defined was born on June 20, 2013 and is a sweet, friendly girl. She is fairly calm and confident and she crated well. She sometimes enjoys chewing on rawhide bones. Defined showed a fair amount of interest in cats and should not be trusted with them. If the behaviour is strongly and consistently discouraged, it might improve in time. 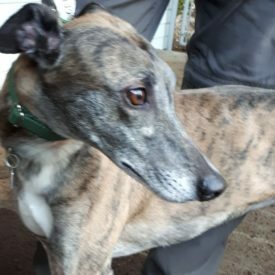 She interacted well with the other Greyhounds and responded well when meeting Jack Russell Terriers, but caution should always be exercised with smaller animals, especial outdoors.